I had a massively stressful week last week with the flat beside me being ripped apart and put back together again in a totally new format, walls knocked down, new walls put in, the sheer non stop drilling and racket on 2 sides of me had my teeth rattling it was so bad! 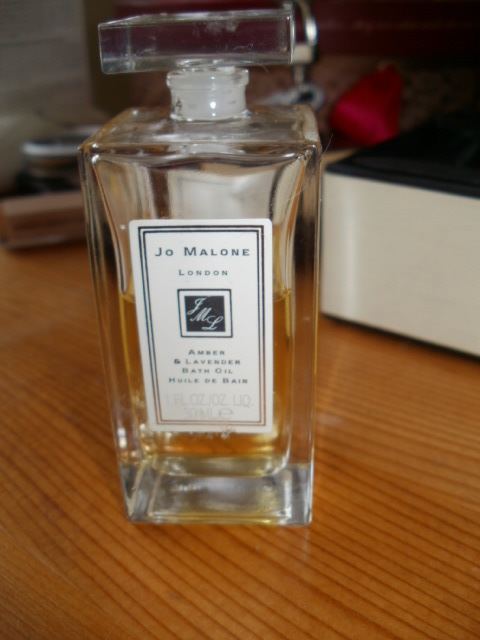 So thank heavens i had this Jo Malone Amber & lavender bath oil for my bath to have lovely relaxing soak in because i really needed it! It smells amazing with top notes of Petitgrain giving a freshness and a hint of sharp orange, heart note of rich luxurious spicy Lavender which i truly love and adore, finished off with lovely heady warming Amber for a truly heavenly bathing experience. Being oils i wasn’t expecting any foam but there was a little and once the oil hit the running water and steam whole bathroom transformed into haven of fragrant tranquillity. This is a masculine scent but to me its very unisex for bathing, can be used by men or women, for that relaxing bathing experience and after a 20 minute soak in this normality had resumed to my wee flat, the stress was gone, the aches and pains were gone too and i felt so much more relaxed! The almond, Jojoba seed and Avocado oils left my skin well hydrated and it was lightly scented too with all the wonderful ingredients! 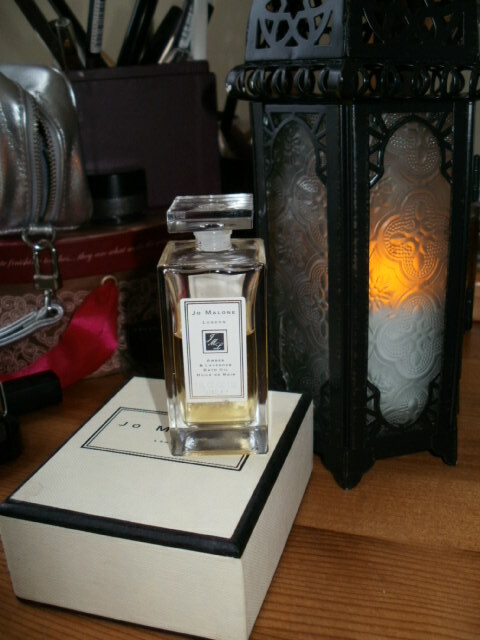 I would love this scent for all over my bed linen, it would be so amazing to get into bed and this relaxing exquisite fragrance wafting all around you as you got into bed .. heaven! This entry was posted in Health and Beauty and tagged Almond Oil, Amber, Amber & Lavender Bath Oil, Avacado Oil, Decadent, Fragrant, Hydrating, Jo Malone, Jojoba seed oil, Lavender, Luxurious, Pettigrain, Relaxing, RIch, Spicy on November 3, 2014 by the40somethingbeautyblogger. 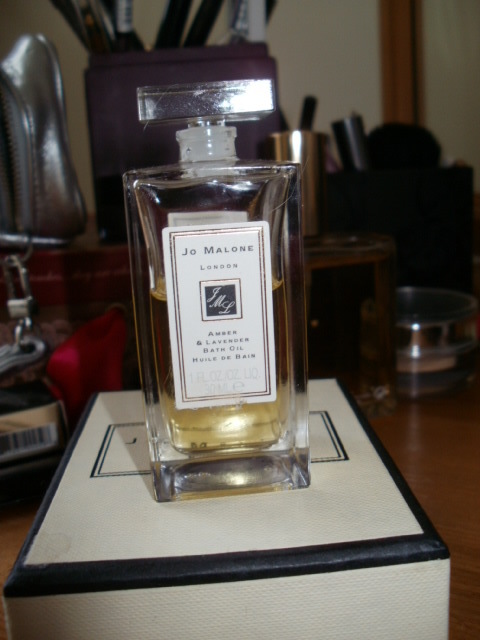 I’ve not tried Jo Malone… Usually a little to pricey for me, but for something particularly special it could be a goer! This one sounds like something I’d love! 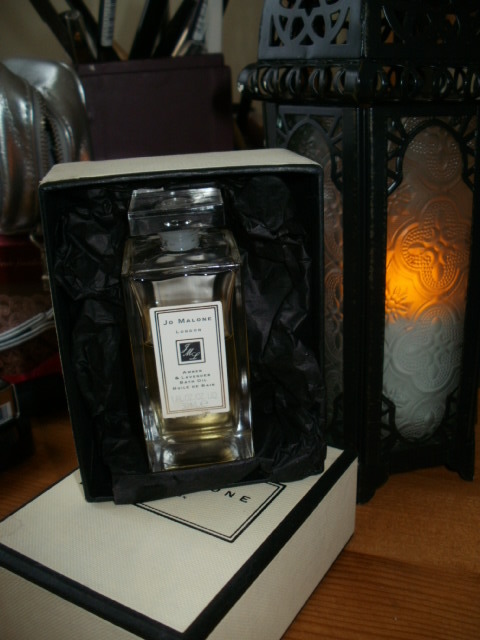 If you can get near a Jo Malone shop or counter it really is worth your while stopping there to try the fragrances they really are top notch!